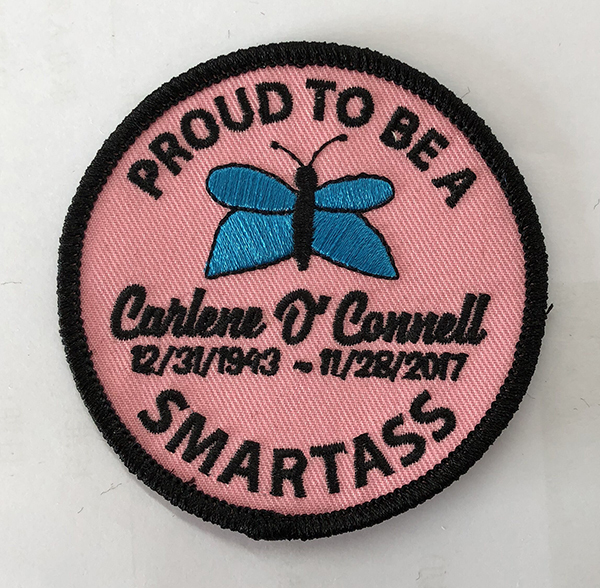 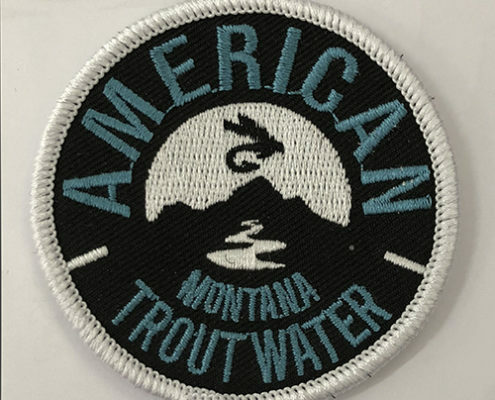 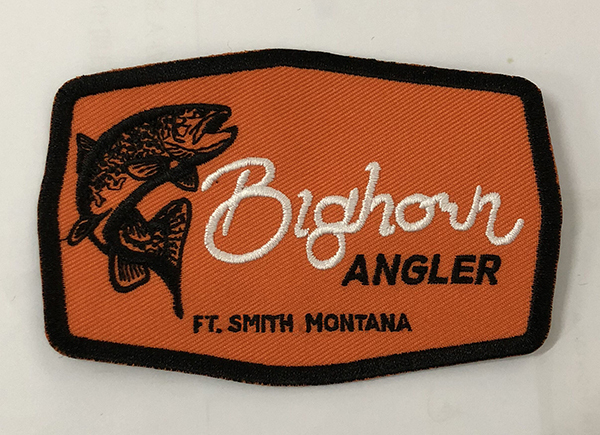 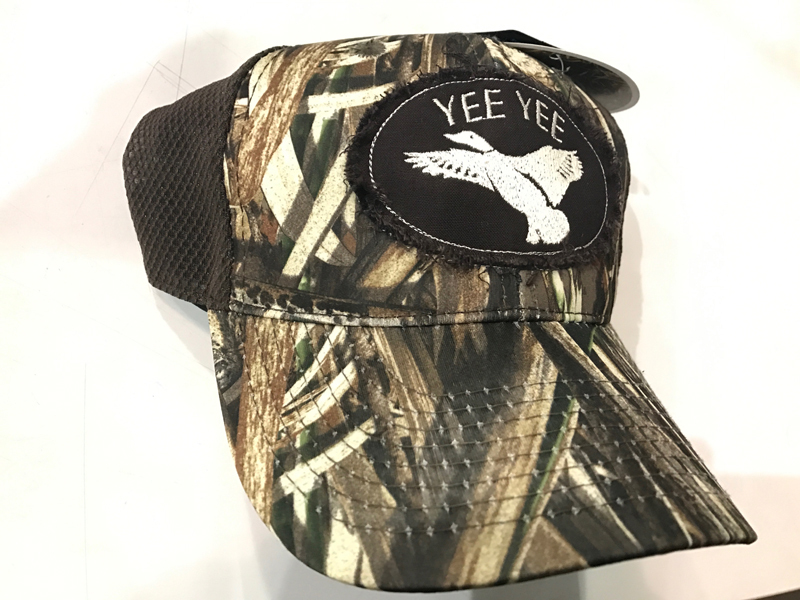 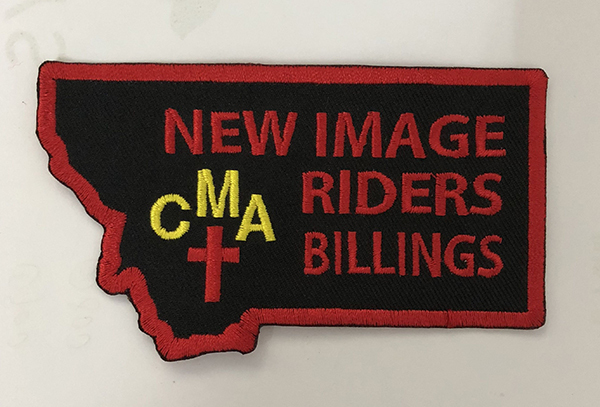 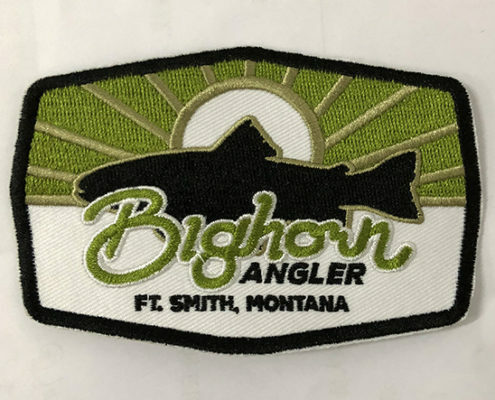 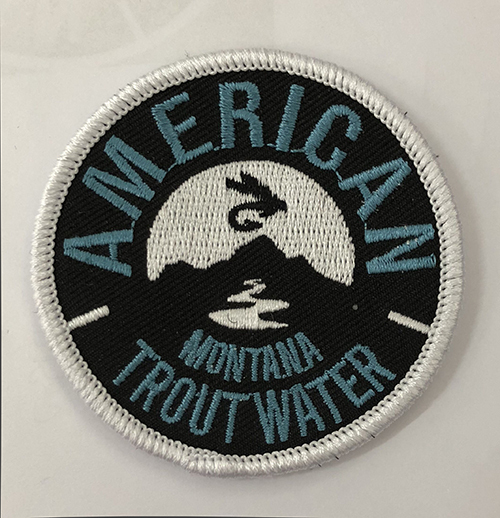 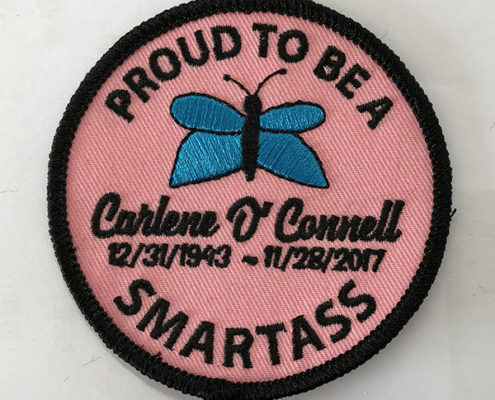 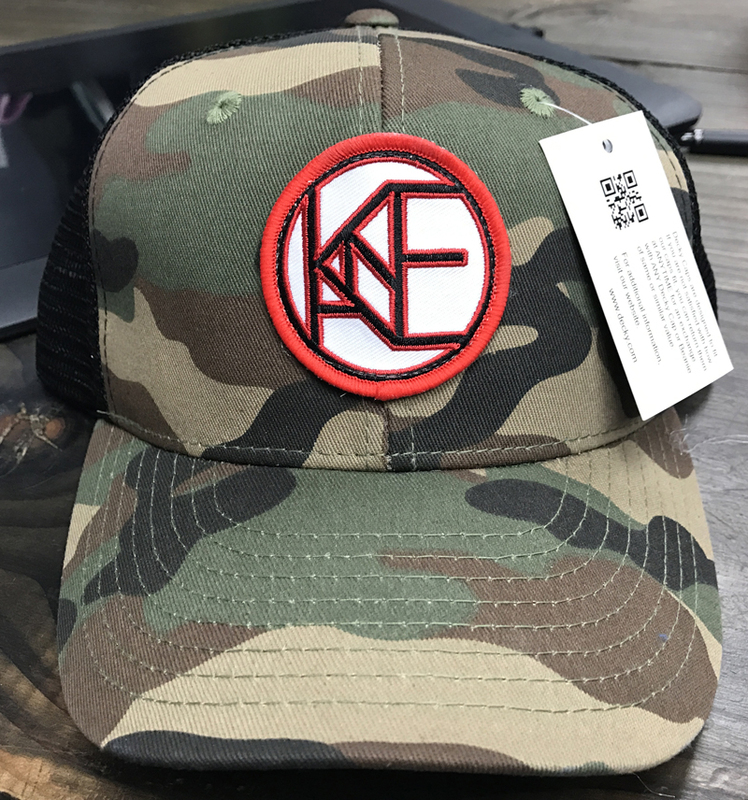 Your design is created on a fabric backing with high quality thread stitching when you choose this traditional patch style. 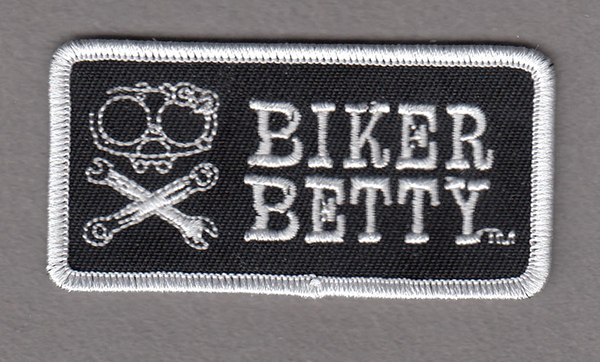 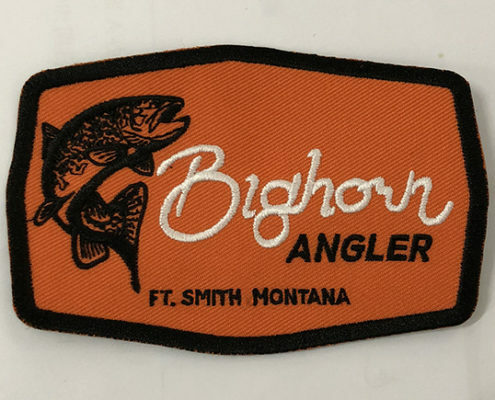 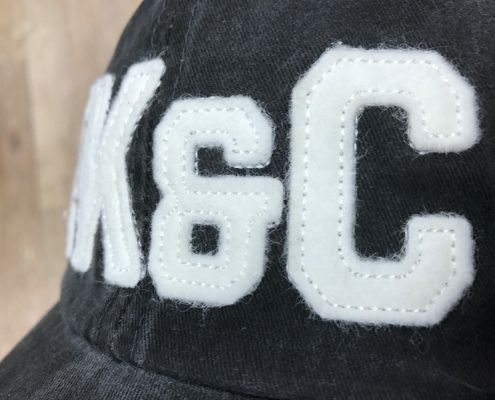 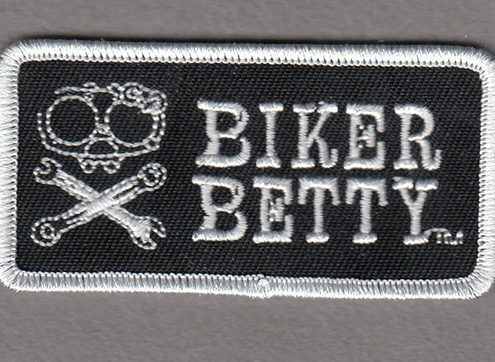 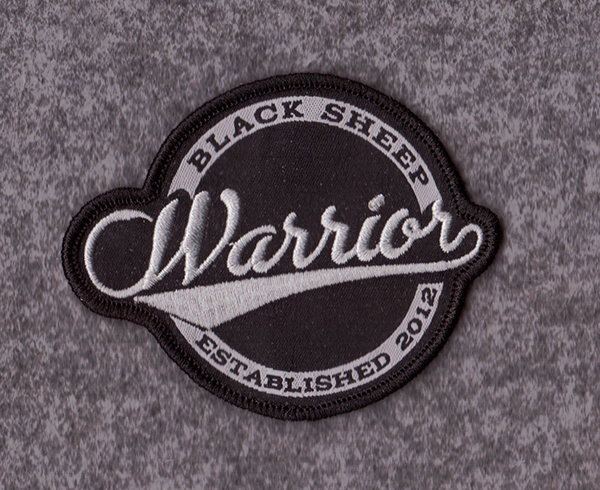 Designs that have a lot of detail or small lettering require a woven patch. 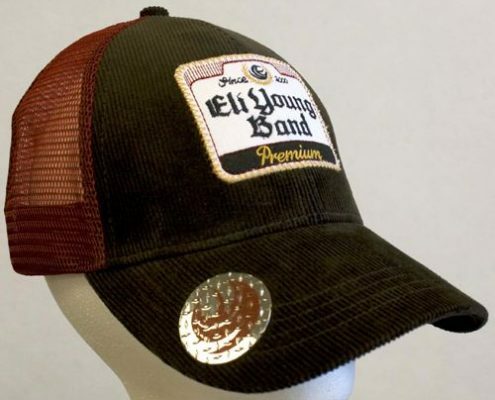 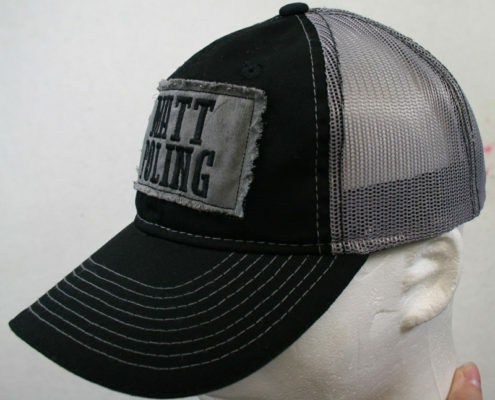 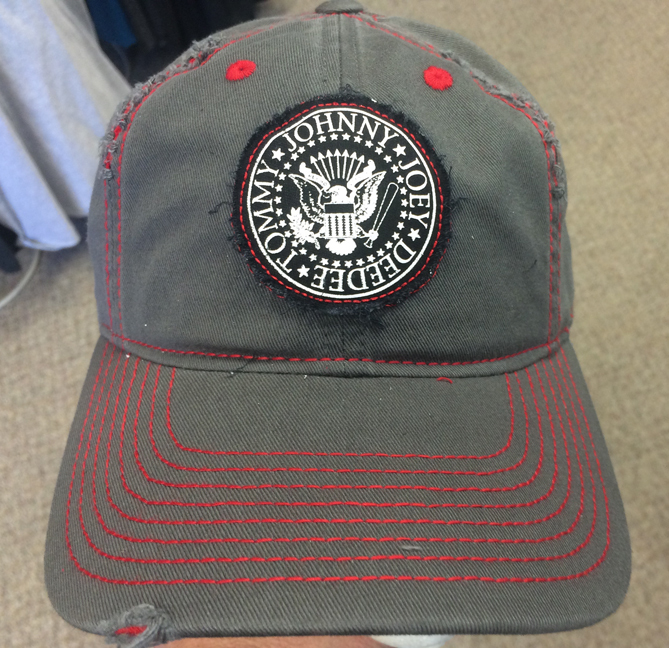 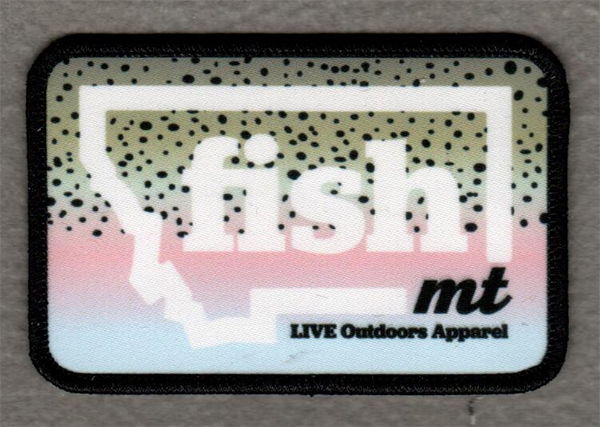 Choose a woven patch to achieve a clean, crisp, graphic style. 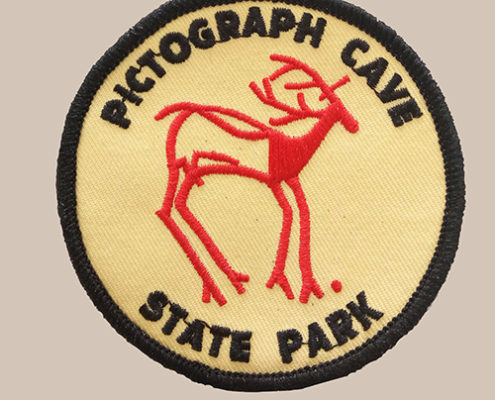 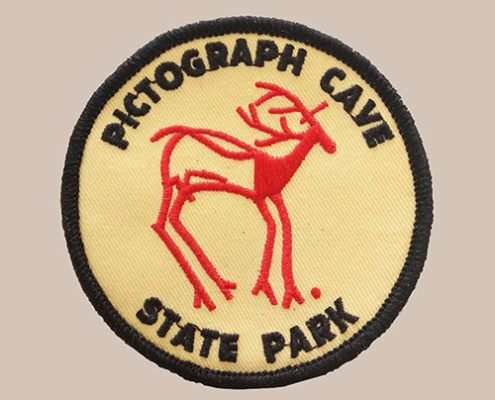 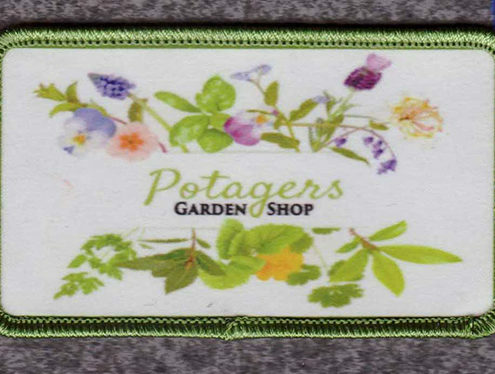 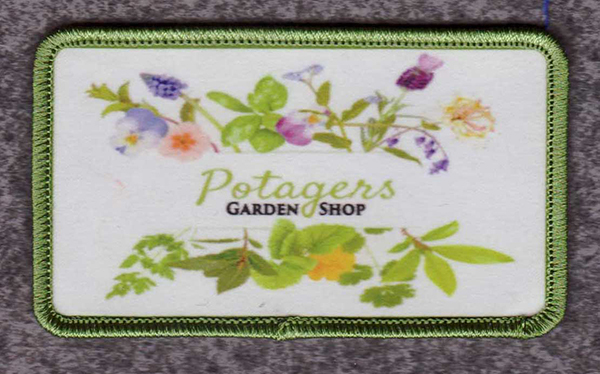 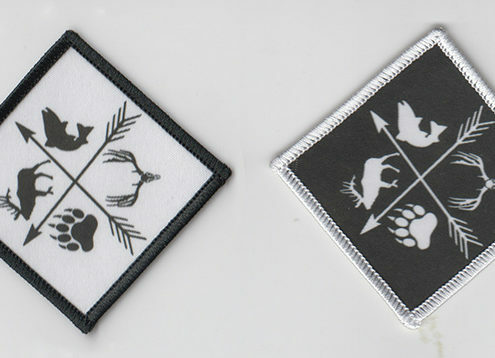 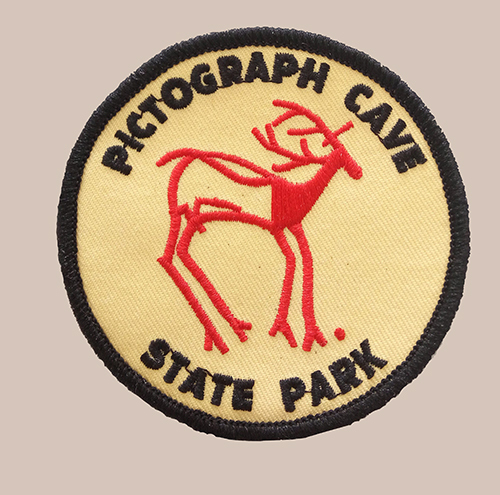 Printed patches are a photo printed on fabric. 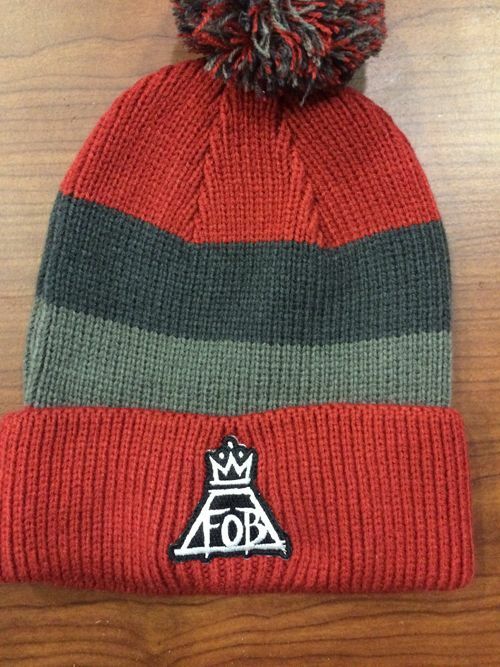 The high level of detail and the endless color options available with this style make it picture perfect. 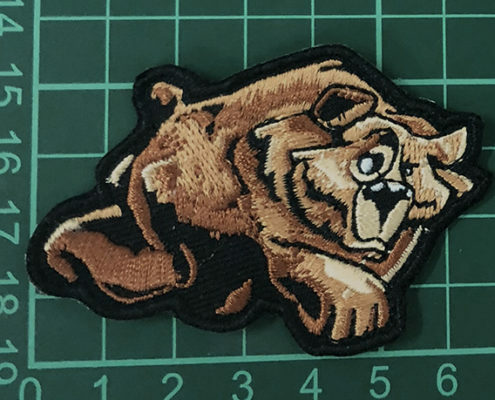 Leather patches add a polished up scale look to any article of clothing. 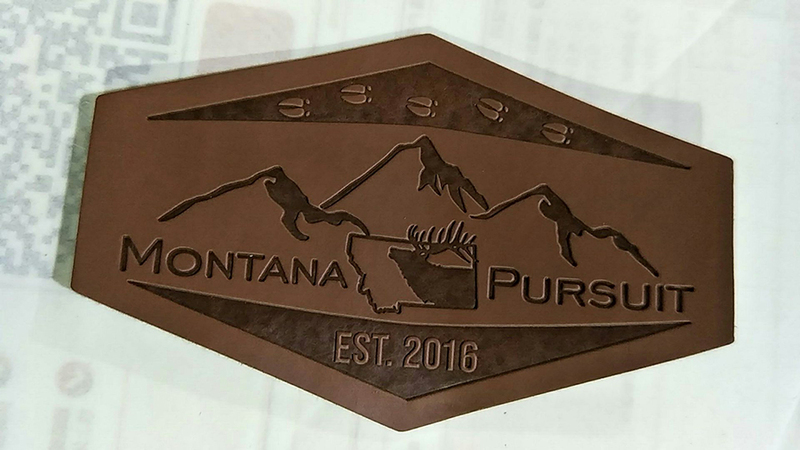 Leather can be made to look both outdoorsy or supremely classy. 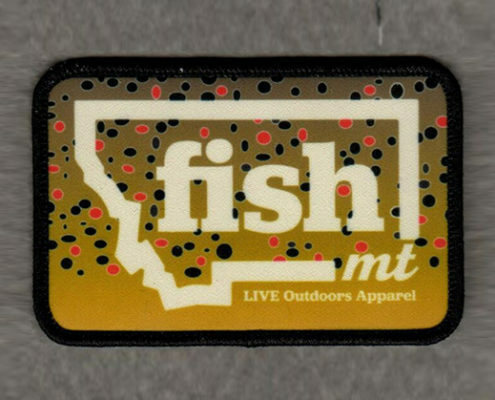 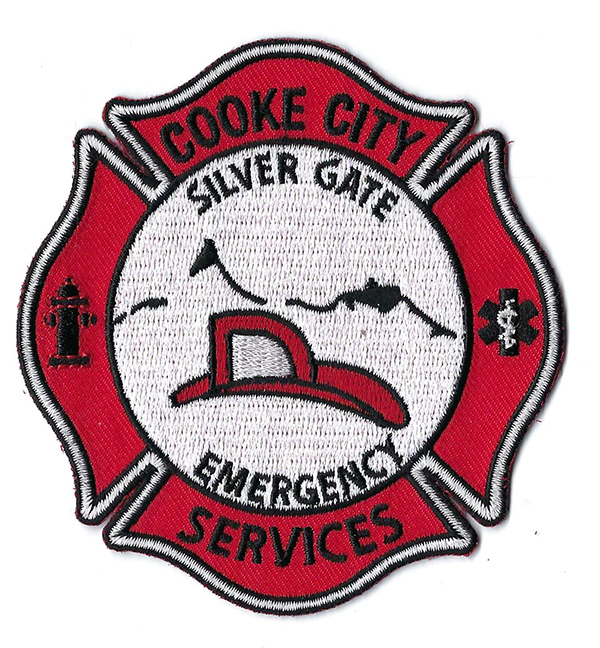 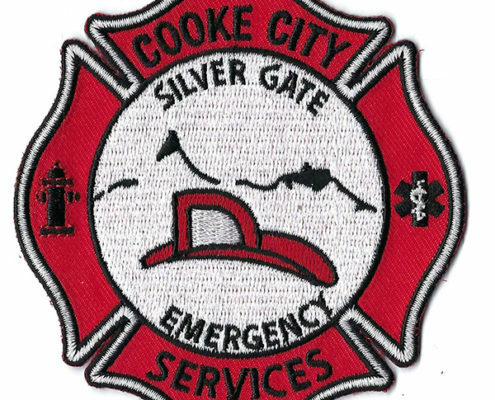 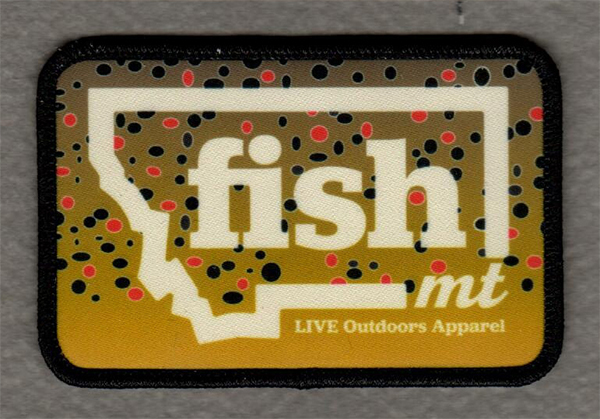 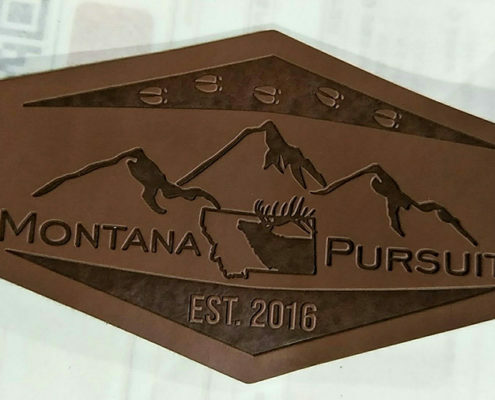 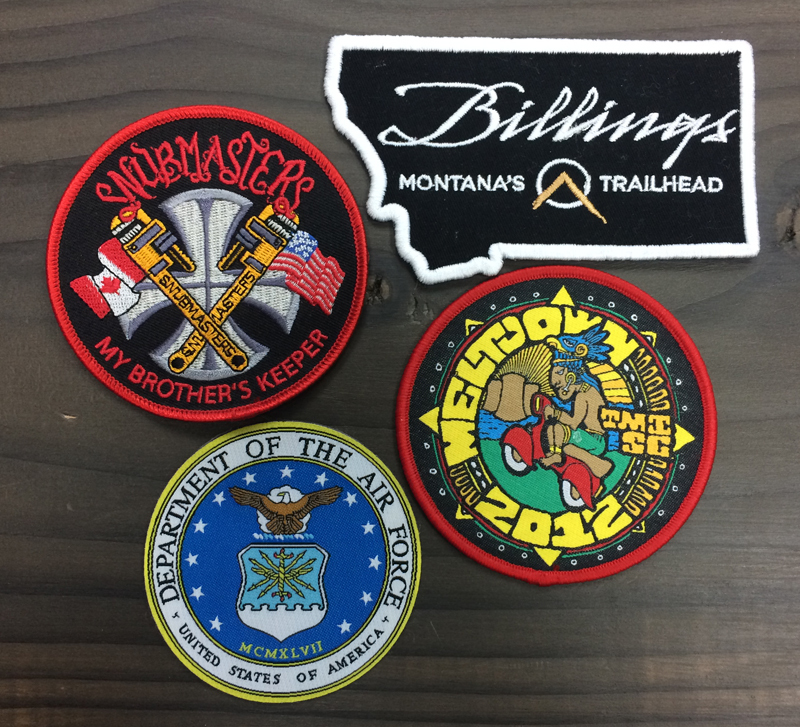 PVC patches are rugged, rubberized emblems that hold up well to whatever gets thrown at them. 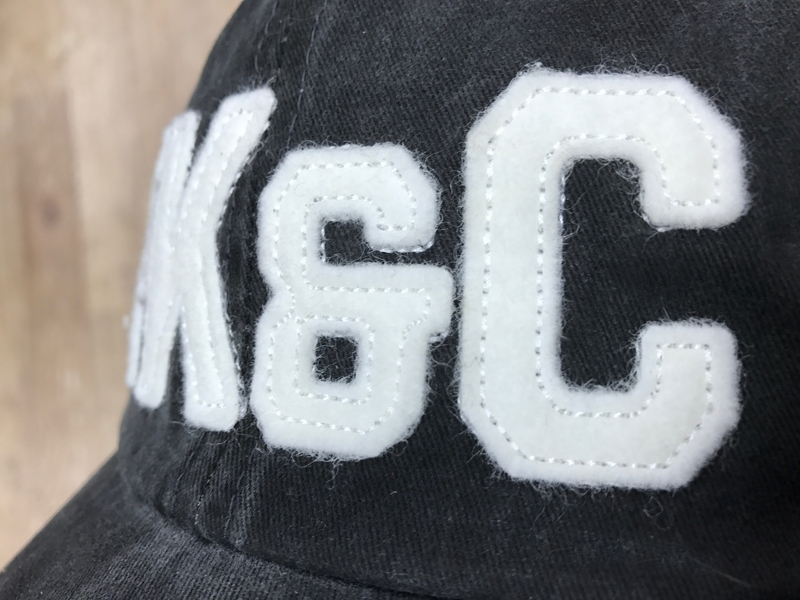 The unique material lets you have unique “sculpting” for a three-dimensional effect. 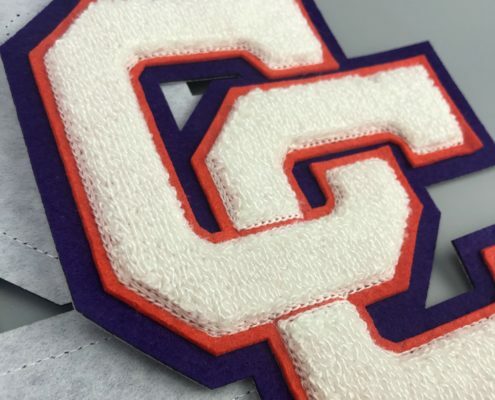 Fuzzy, old style lettermans jacket patches. 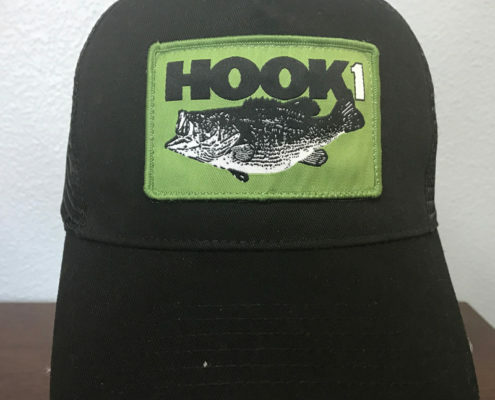 You can design a bold and classic look. 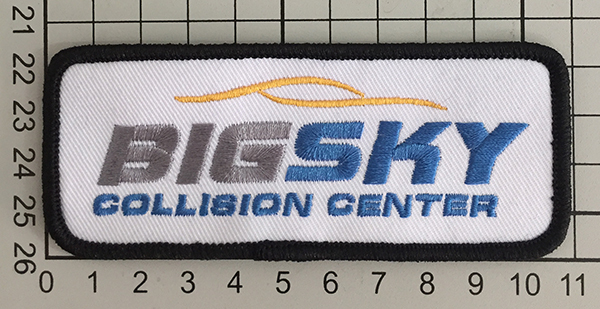 Calculate the size of your Custom Embroidered Patches by adding the Length + Width and then dividing it by 2. 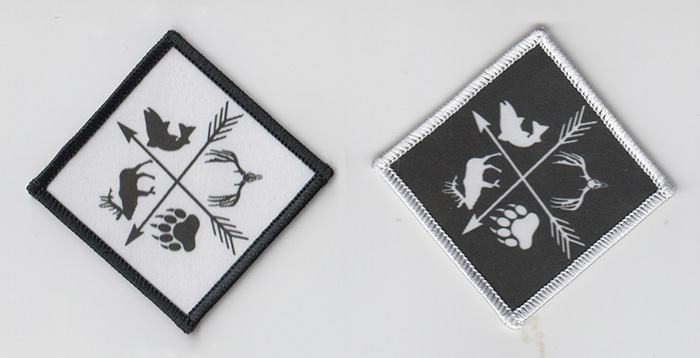 Example: 4 x 5 ” patch 4″ + 5″ = 9″ divided by 2 = 4-1/2″ size for pricing. 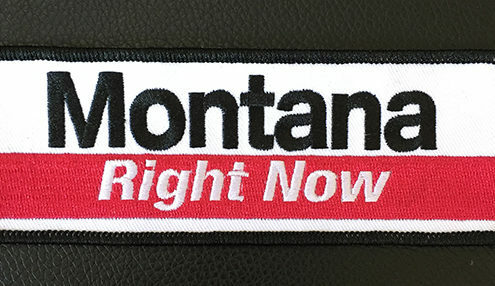 Prices are an estimate. Please contact us at cs@mosaicthreads.com for a final quote. 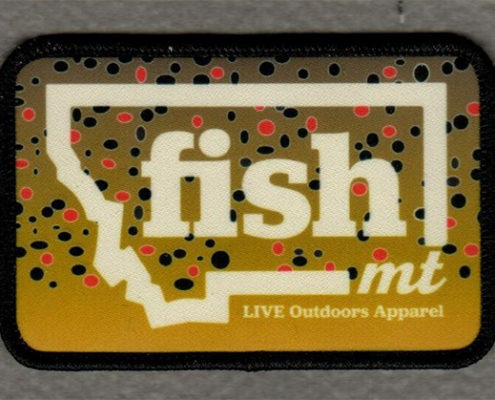 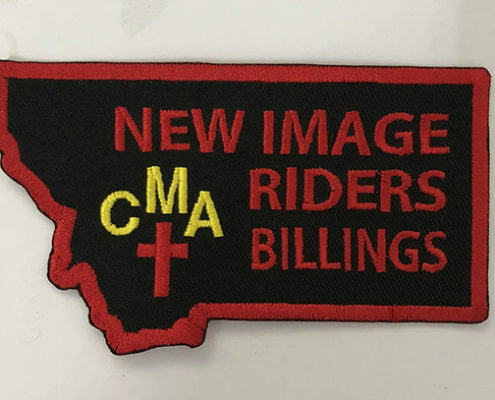 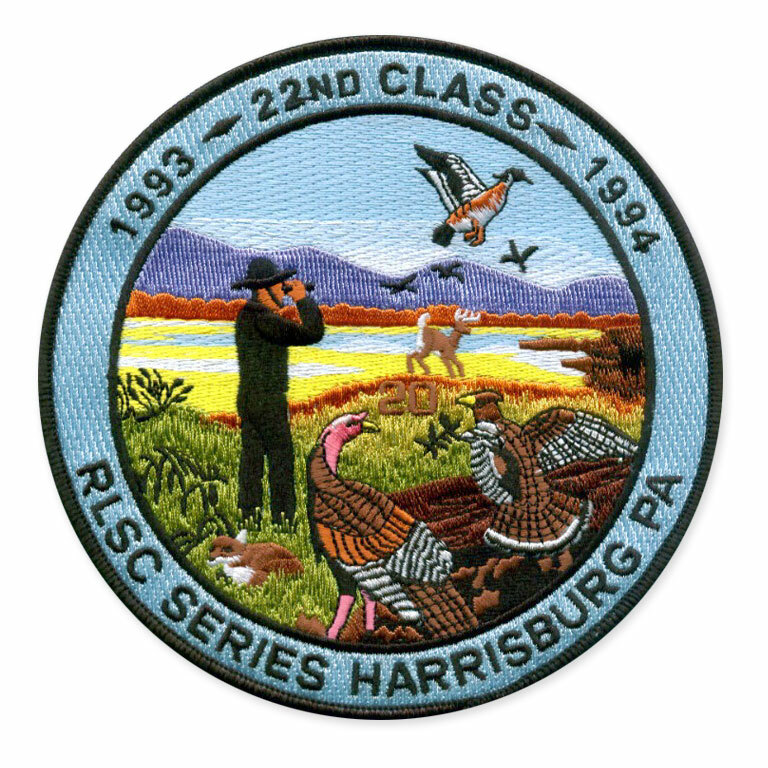 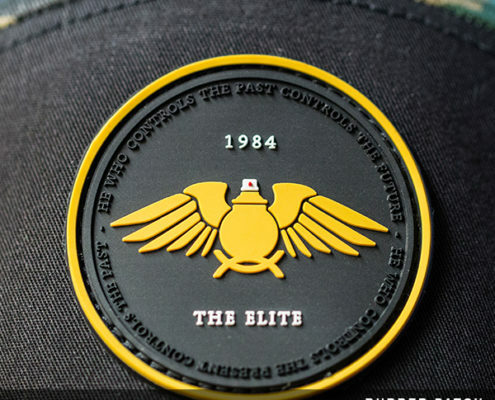 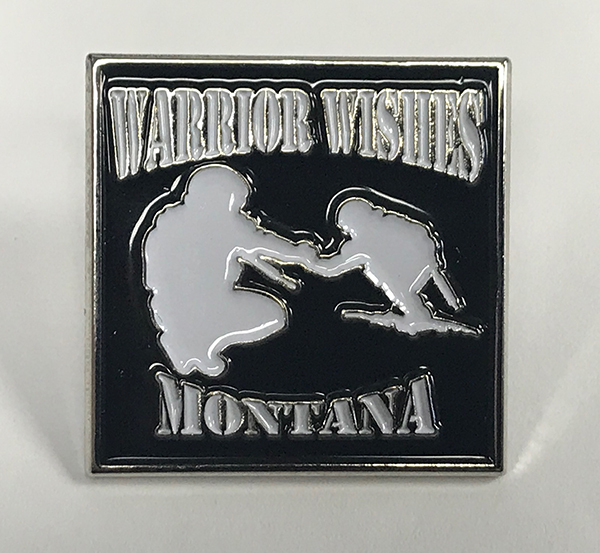 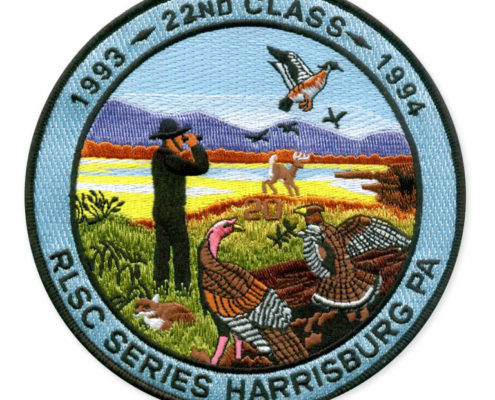 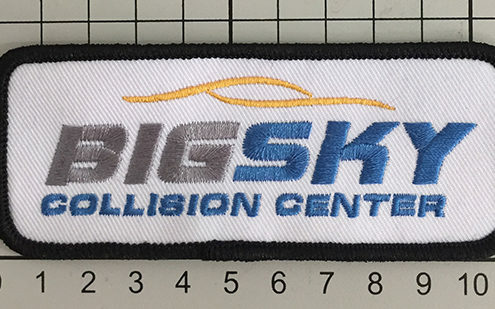 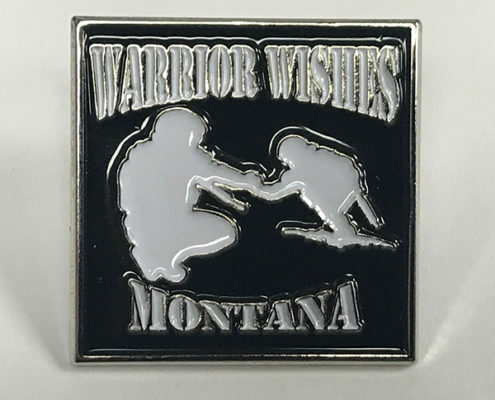 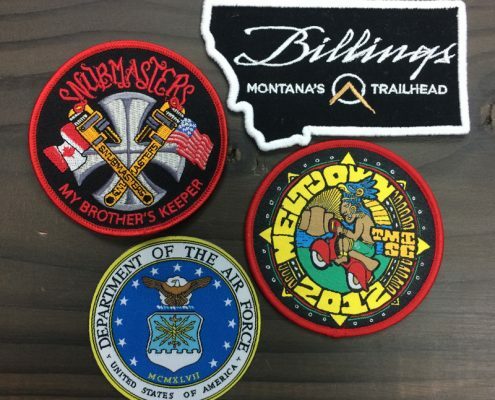 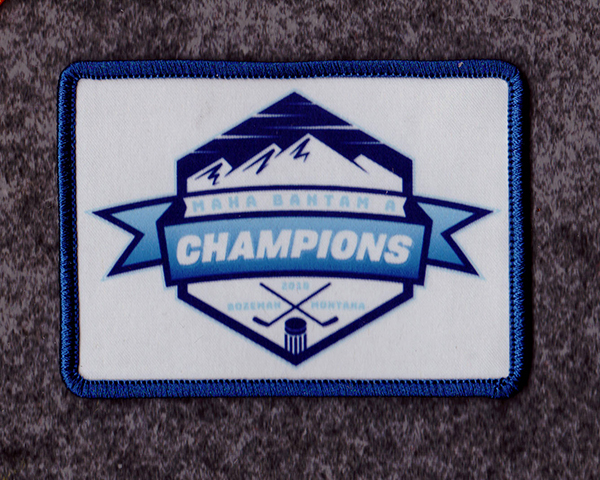 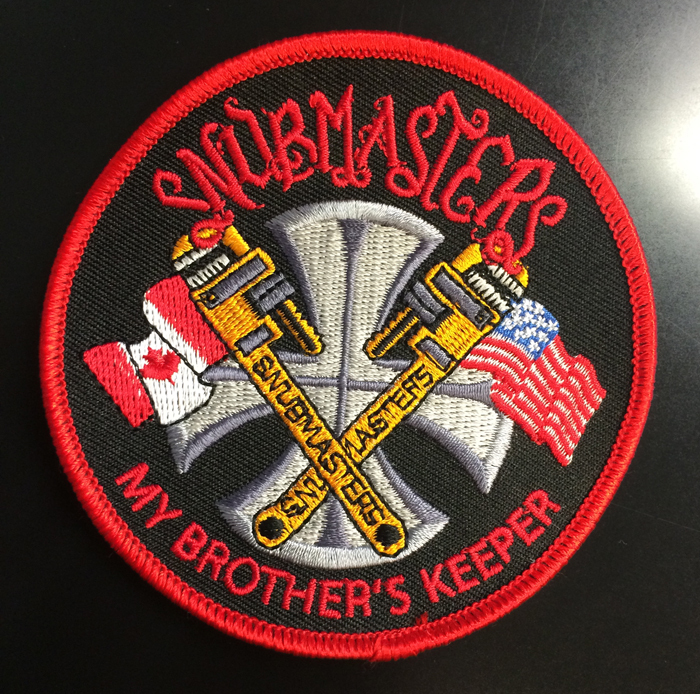 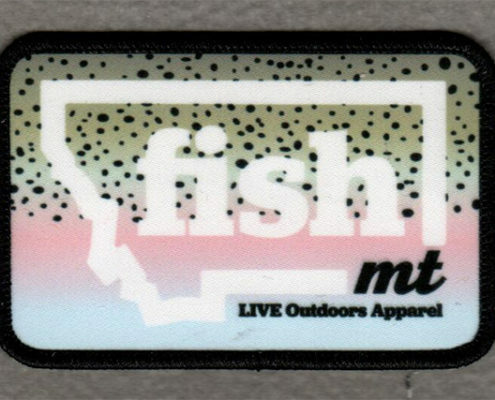 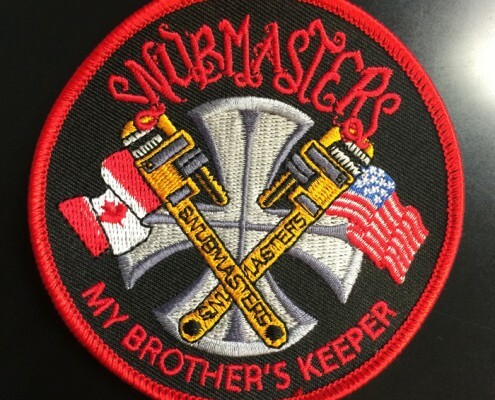 Mosaic offers some of the highest quality custom embroidered patches in the industry. 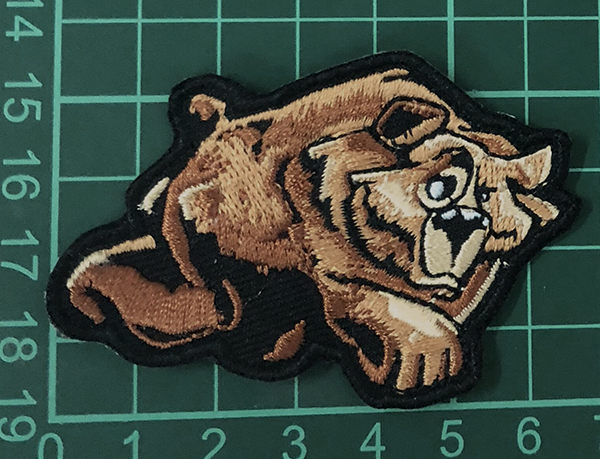 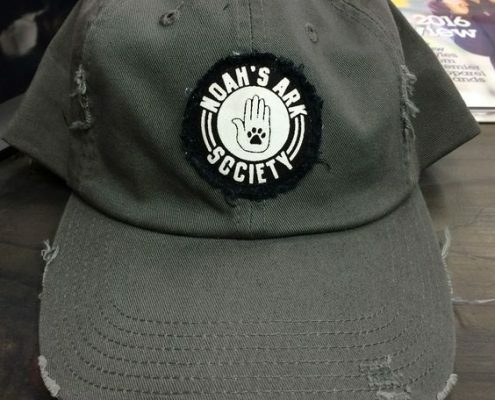 We have in house and oversees production for our custom embroidered patches. 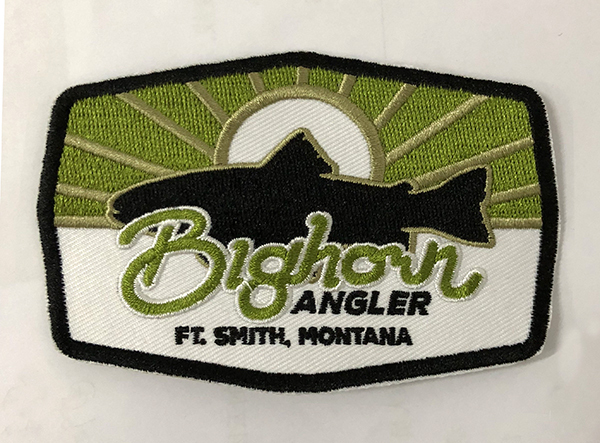 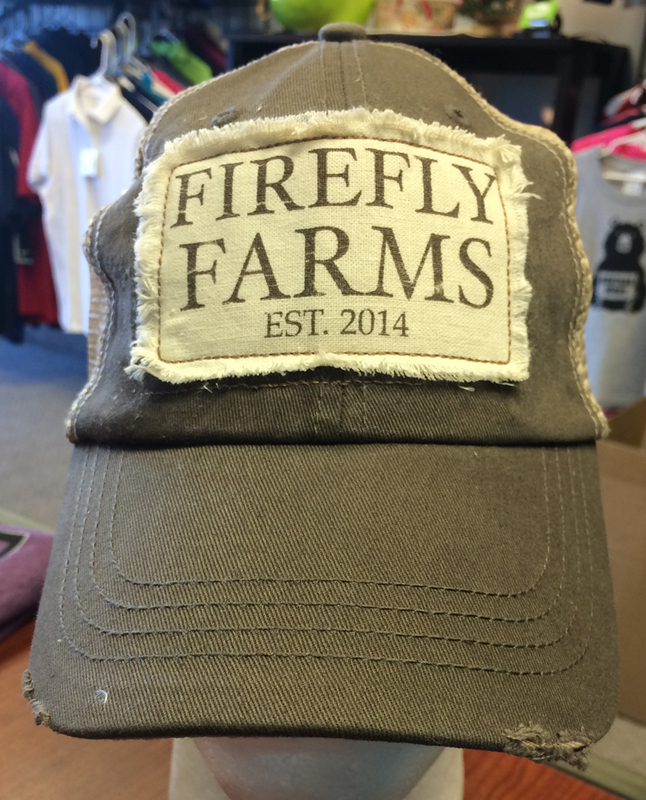 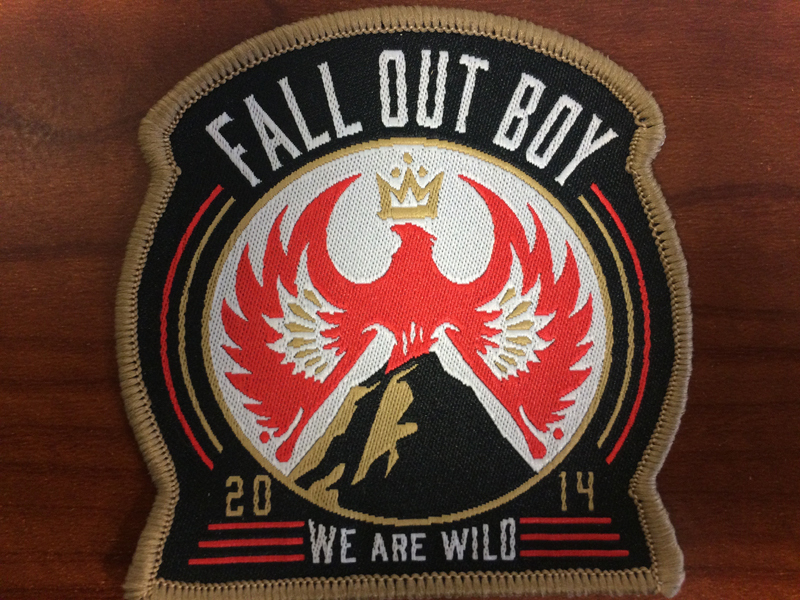 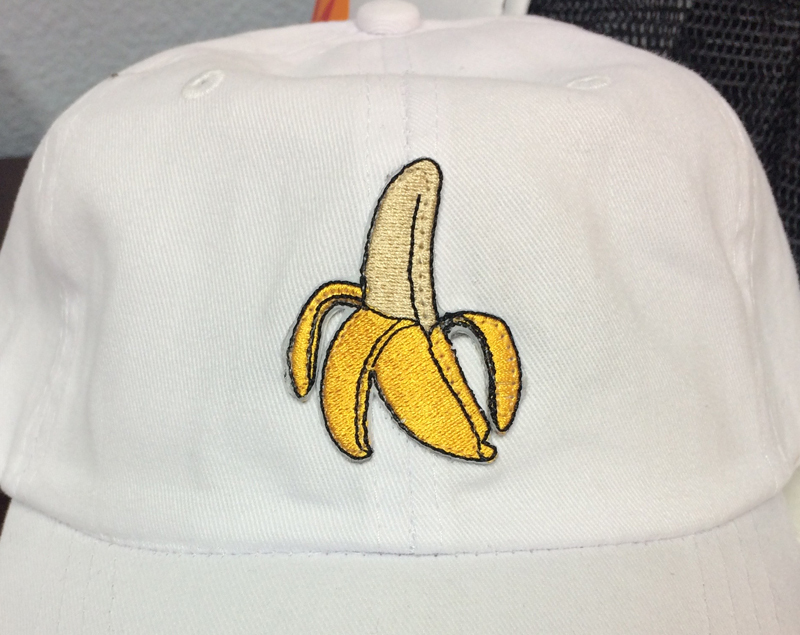 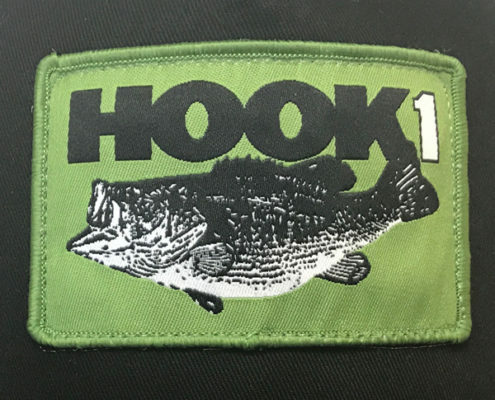 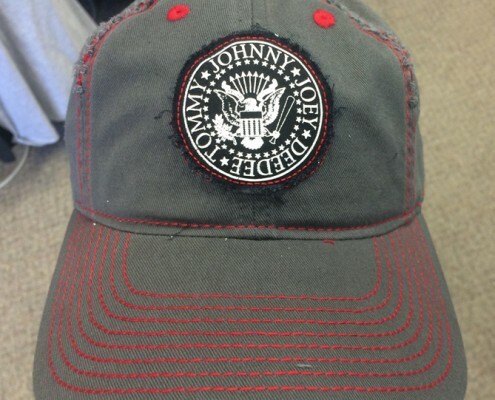 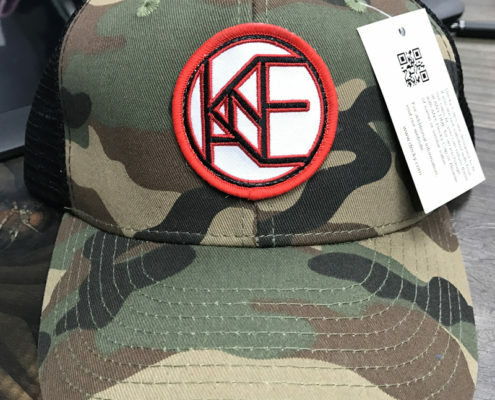 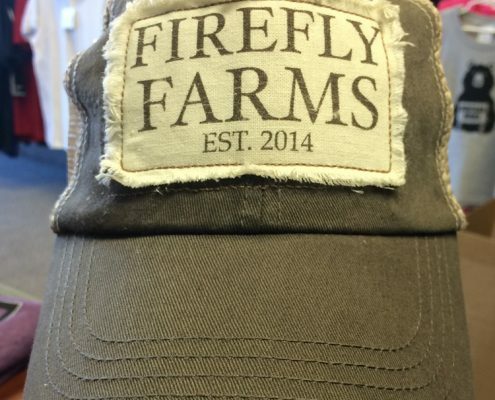 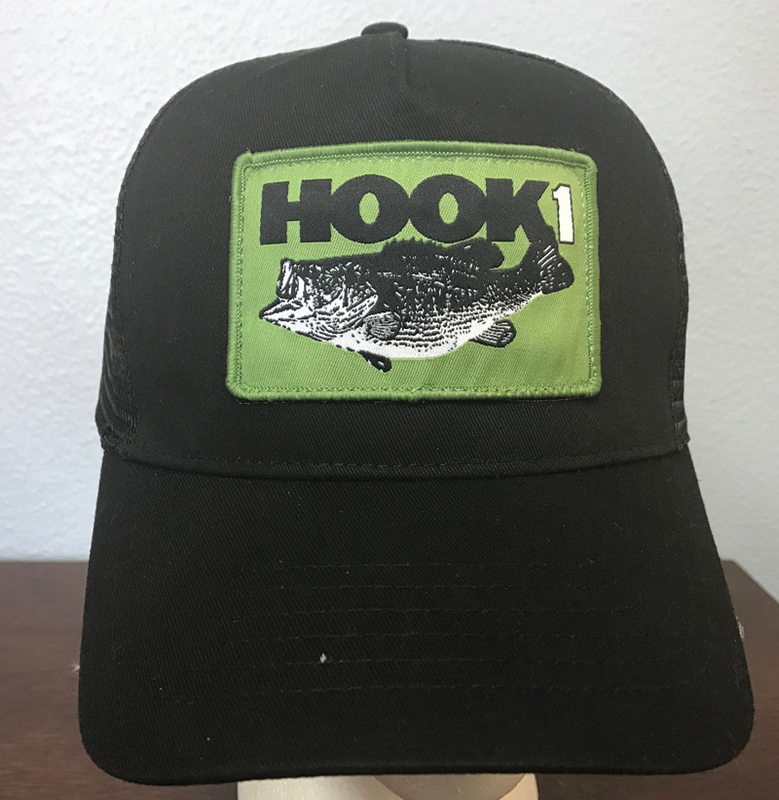 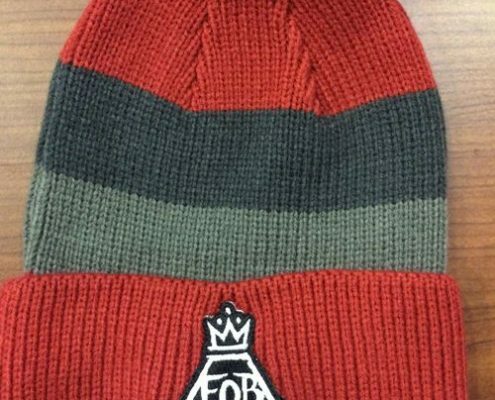 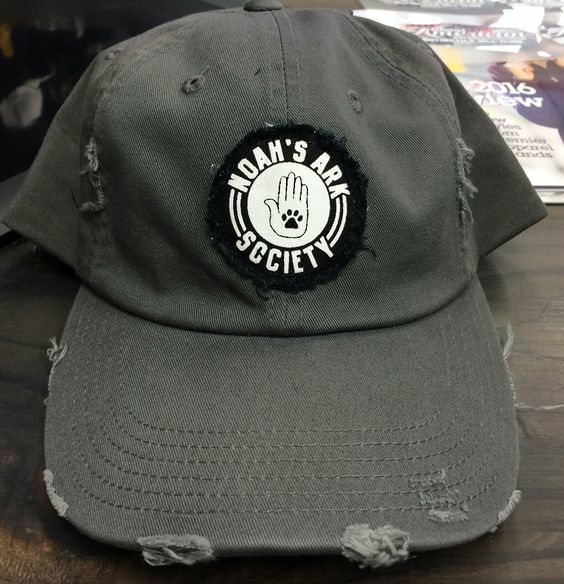 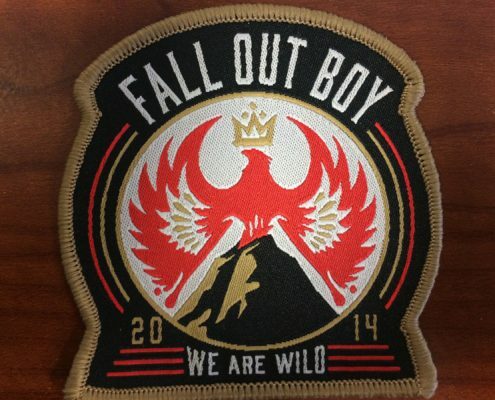 You can put Custom Embroidered Patches on about anything and it is a fun trendy look.